So as the trails got more difficult, I noticed the rocks and obstacles were getting closer to the rocker panels. I hadn't yet made the mistake of body damage, and only had a couple minor scratches in the plastic. However, I realized the signs and decided it was time for some protection, and it was time to take the next step in my vehicle's ability. 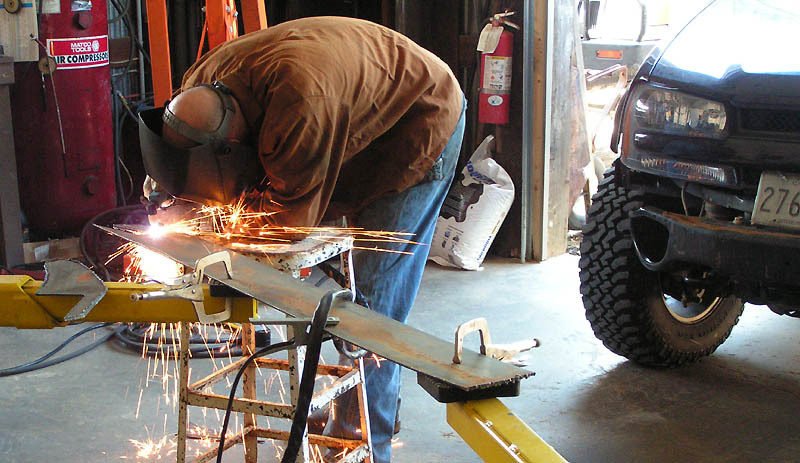 I contacted a local fabricator in Manassas, VA, Freaky Tree Fabrication and we got to work making a custom set. 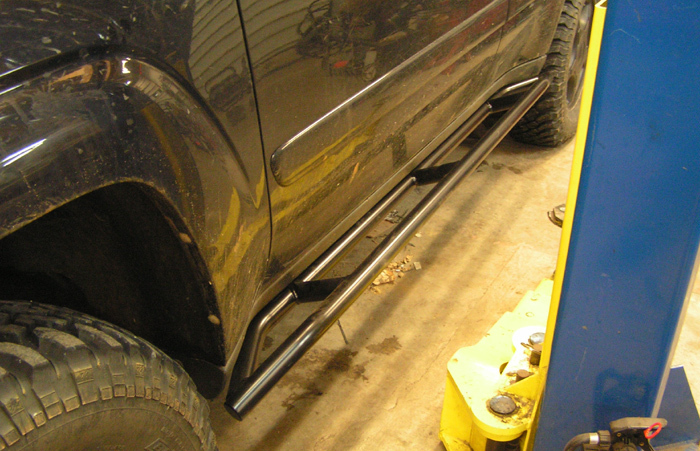 I set out looking for a simple set of sliders, but the fabricator had an interesting concept that would follow the vehicle lines and protect the rocker ends well. So I gave him the go ahead. 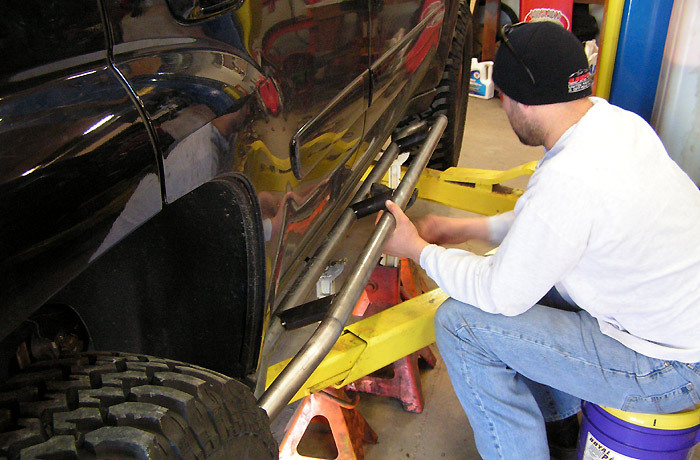 The rocker panels also hold a piece of the door weather stripping. There is an outer strip that runs along the bottom of the door. Being that I drive through mud and creeks, I thought I could use all the sealing possible. 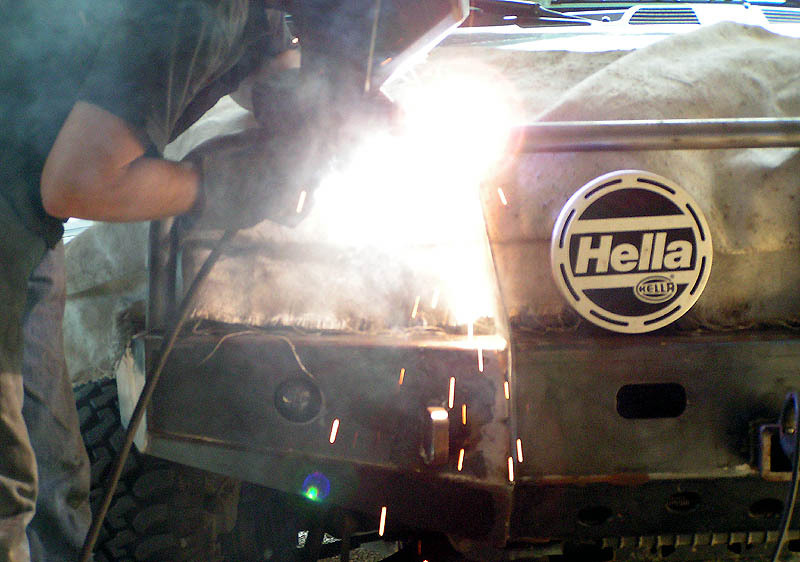 We went for weld on, as a bolt on option would just be too much trouble for it's worth. 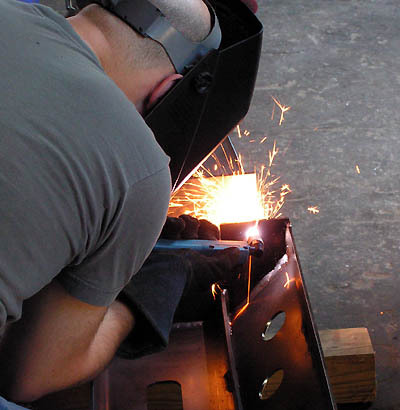 To aid in the strength, Eric added in the corner gussets. It was amazing the difference in rigidity before and after the gussets. They had a good amount of vibration without (as in, if you hit the slider, they visibly vibrated), however once the gussets were added, the slider didn't move a millimeter. We decided to do a load test and verify their strength. 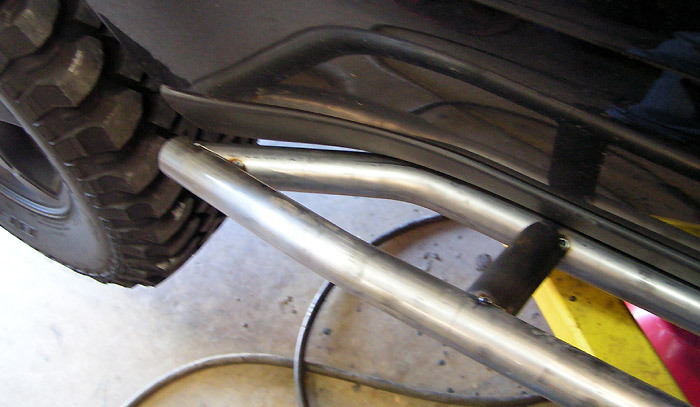 Notice the very slight bend in the tube once the full weight of the driver side was on the bar. Also notice how they stick out 1/4" from the tires. This was done so that the rocker would also guard the side of the vehicle if I needed to pivot around a tree or other vertical object. 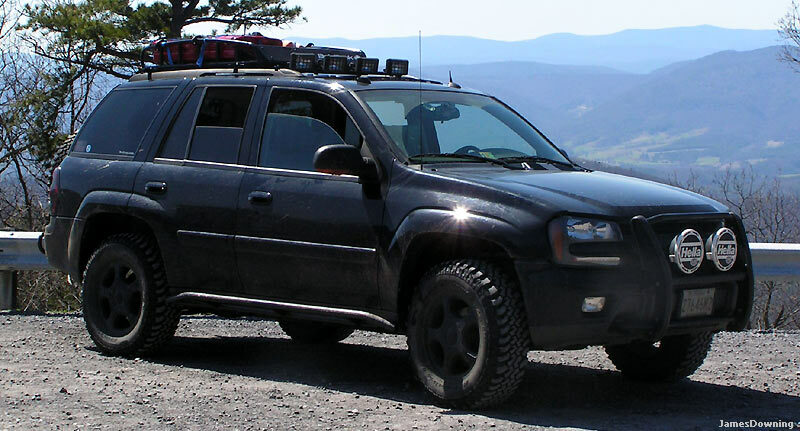 I've always liked these vehicles but this is the first TrailBlazer I've seen modded for offroad! Pretty awesome. I didn't realize they were coil sprung in the back, or the Tahoe for that matter. Pretty awesome considering the Hummer H3 has leafs. Yes, I know the platforms aren't the same but I believe they are related. Can you also use springs from the H3/Colorado/Canyon? Edit: Is it just me or is there no other midsize SUV with a ladder frame, IFS, and coil sprung rear axle?? 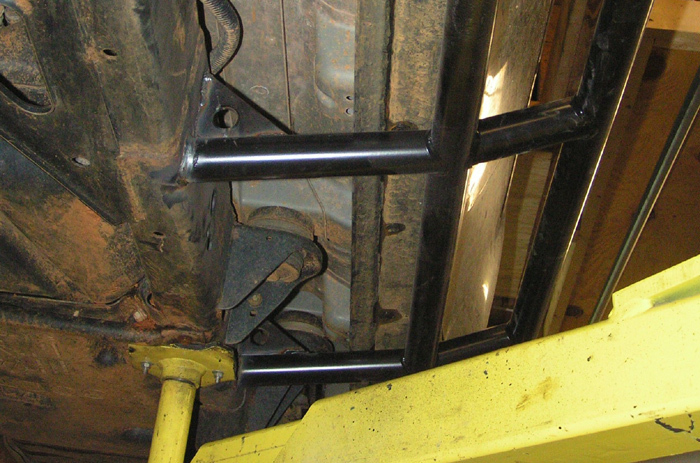 I believe they use torsion bars and leaf springs. The closest I can think of is the FJ Cruiser. It has IFS front, a decent frame, and a 5 link rear axle as the TB does. Here's a panorama from the passenger seat during a recent trip (taken while I was spotting some guys through a slightly rough spot). Not a bad fit for an initial test fitting eh? Most of today was spent on fixing minor issues (interference with the grille, headlights, fender alignment, etc, etc.). More details to come whenever more progress is made. :box: The brown truck man brought some goodies! First of all, the fog lights came in for the bumper. After reading many reviews on fog lights, I found that the projector type lights had what I would consider the best 'fog' pattern. I was looking for wide spread, yet a nice cutoff that wouldn't throw light upward. 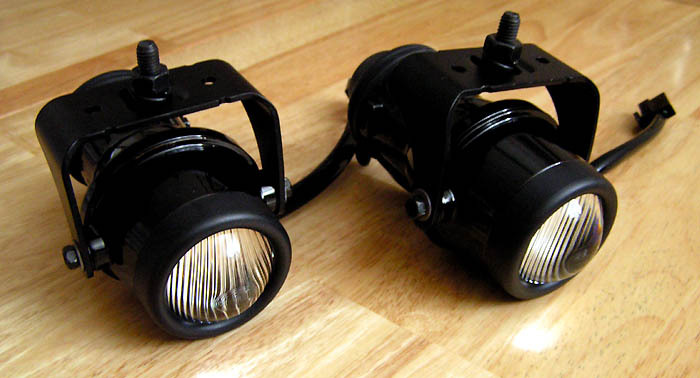 I ran across the Hella Micro DE fogs when reading up an expedition motorcycle thread. After more research, they seemed perfect, so the bumper was designed around their specs. The second goody was a newly tuned powertrain control module (PCM). This controls the engine and transmission as a unit and tunes the shift points and the engine power curve. This is actually the second try at the tune. Last round the 1-2 shift became overly harsh and I had them detune it. The power curve, however, is greatly improved! great work on this thing! 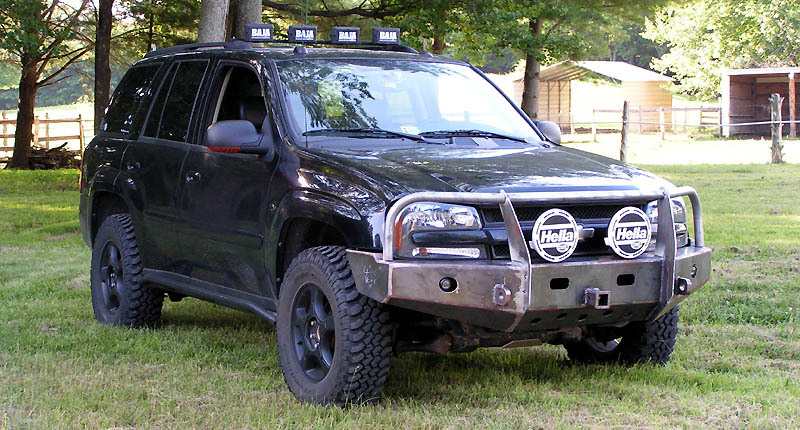 I can't wait to see what the front bumper looks like finished.. i would love to build a bumper soon for my explorer! 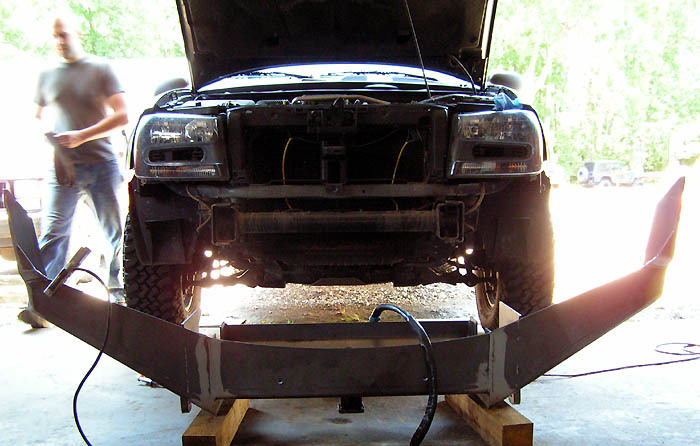 Are you making provisions to mount a winch in the bumper? -It would have pushed the bumper out further. -It would add a lot of unnecessary weight for my daily commutes. -It would subject the winch to lots of unnecessary weather. -I can take off the weight when I don't need it (for daily commuting). 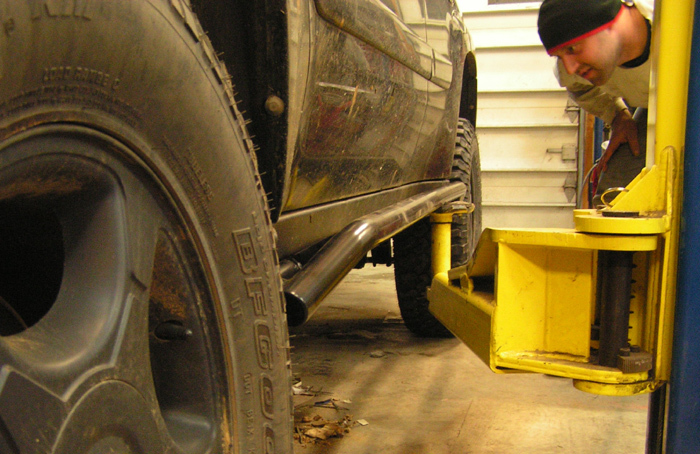 -The winch sees less weather and may theoretically last longer. 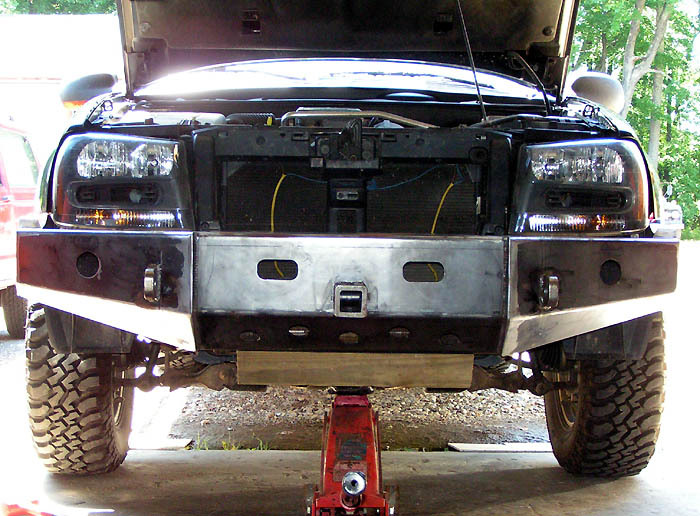 -The winch can be mounted on the rear receiver to allow rearward extractions. 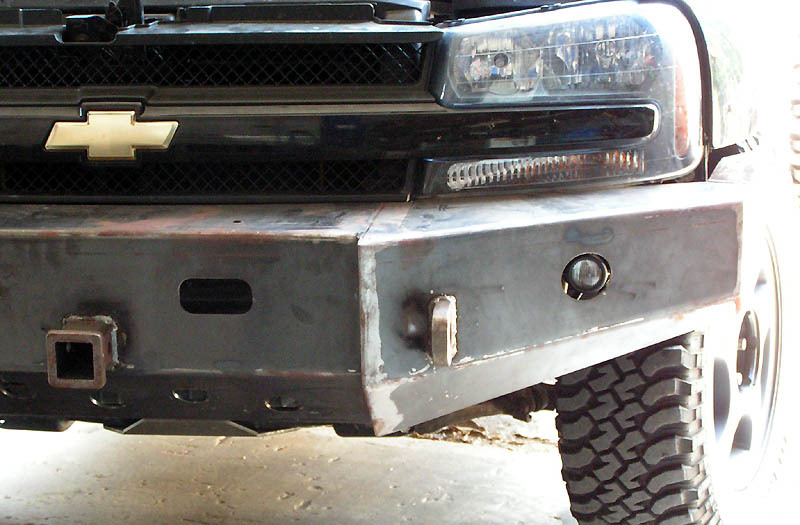 Well I've been out in Mexico for work these past couple weeks, but I finally got some work done today on the bumper. Tomorrow the top end will be finish welded, the final internal structural brackets will be welded in, and the entire thing will be ground down to a nice finish. Great job on your TB. It's interesting to see how an idea about your build begins, then grows legs after you do some trails. 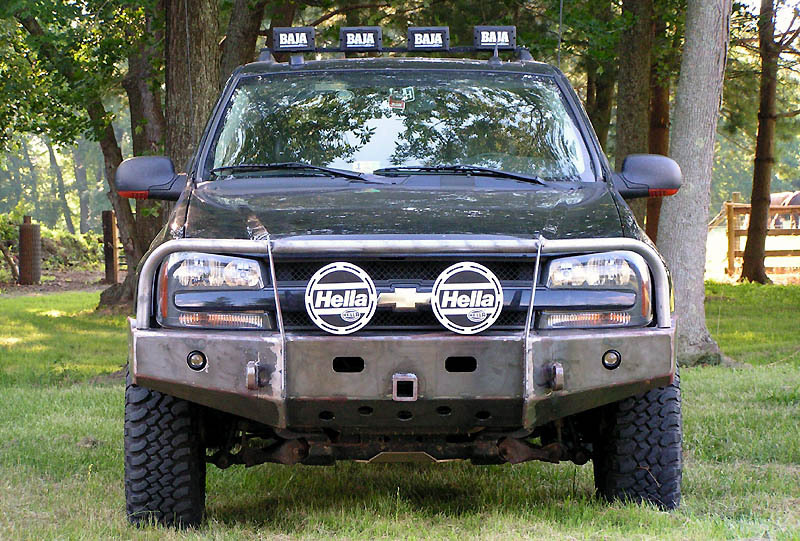 At first, I saw the brush guard and thought that was a mistake. As always, as you wheel it and see what works , here comes the fabbed front bumper. Looks like you are heading in a good direction.